It's that time of the year again, at least for myself and anyone with dry skin. If you don't have dry skin then I feel a whole lot of jealousy towards you because you are so lucky! I have been working very hard at managing my dry skin, mostly on my face. I need to tackle it all, but for now, my face is what is visible and what is my priority. I have been trying a ton of products and think I have settled into a really good routine of what works for me and what I can stick with longterm. Tata Harper Hydrating Floral Essence - This is one of two of the most important steps IMHO. After I wash, I spray this about 3-4 times all over my face and neck. If I feel a little dirty, I will use a cotton round and take some off like a toner, but always make sure to leave at least a little bit of this on the skin. It is key! Beauty Counter Every Night PM Hydrating Cream - While the Tata Harper spray is still damp on my skin, I apply two pumps of this lotion to my face and neck. This is such a rich, delicious cream, that I use it both day and night. Amore Pacific Moisture Bound Rejuvenating Eye Treatment Gel - This is the newer version of what I have pictured above. I haven't had to replace this in so long because it literally lasts forever. Neiman Marcus always gives out samples, and they alone can last me two to three weeks. I pat this all over my under eye and side of my eye with my ring finger. It's the most deliciously moisturizing anti-aging eye cream I have found. This is hands down the BEST eye cream if you have dry skin, or if you don't. Jojoba Oil - While my eye cream is setting, I put a few drops of this all over my face and neck. This is super rich, so a tiny bit goes pretty far. Some times I do this after the Tata Harper spray and before my PM lotion, it just depends on my mood and if I remember to. Bobbi Brown Extra Soothing Balm - This was one of those products I just wasn't sold on. I stocked up last time I was in King of Prussia. If you're at the Nordstrom there, stop by Bobbi and ask for Victoria, she is the bomb.com and totally helpful and honest! She convinced me that I would regret not getting this and she was right. It's fanfreakingtastic and I'm so thankful that she loaded me up on samples that I can travel with or throw in my purse. This product is a one stop shop for your face. I rub a tiny bit between my fingers and put it on my dryest spots. My skin around the top sides of my face tends to flake so I have been using this daily there and noticing a huge difference. It's a great dryness spot treatment that isn't greasy or slippery and works well both under and over makeup. Vaseline Lip Therapy - I received a tin of this magical little goodie from Inlfuenster and I quickly fell in love. I used to use regular old Vaseline on my lips and any dry skin on my hands or body, but this has totally replaced it. I love that it is made for lips. It's super moisturizing and I put in on every night before bed and got a second tin of it to keep in my purse. I put it on my dry cuticles and I have been spot treating my legs with it. I know it is meant for lips, but it is such a versatile product. Is there any other magical product that I am missing? I feel like I have really got the dry skin routine down this Winter, so hopefully I won't look like a hot mess if I run into you! 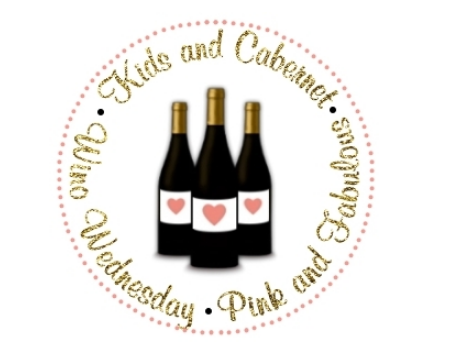 Don't forget tomorrow is the Wino Wednesday linkup AND the first day of the #lovelystyledlife series on Instagram! We hope you will join us! My hands get SO dry in the winter, I hate it! And I am seriously going to need to check out that hydrating cream! I really want to try some beauty counter products that line has been on my radar for quite some time now! Thanks for these recs, my hands have been SO dry lately, and it's not even that cold here. I can't imagine where you're at! I loveeee anything by Tata Harper! I've been using her resurfacing mask and regenerating face wash and am huge fans of both. Now I need to check out this spray and the Beauty Counter PM lotion, too! I've been wanting to try a new eye treatment! Thanks for the recommendation! On a side note, I just realized a few months ago that Bobbi Brown make-up was NOT the same Bobby Brown that was married to Whitney Houston! Ha!! Vaseline is a must in my bag! I don't struggle much with dry skin on my face, but the rest of my body gets really dry this time of year. Any recs for that? It also doesn't help, that I'm horrible about putting lotion on regularly!